So you bought the Dynamic CT500 console unit so you can smoke your cigars without hearing complaints from those around you. What a fine machine and very quiet, too. One small problem, the air cleaner replacement filter pads are costing you a fortune through your local distributor. Now you can smoke for a lot less! 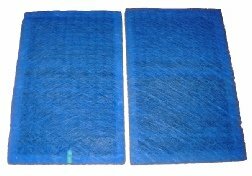 Electro Breeze brand CT500 console air cleaner replacement filter pads are a much more affordable price. The Electro Breeze replacement media air filter pads are fully tested and will fit perfectly in your Dynamic CT500 console air cleaner. 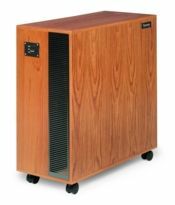 Same air cleaning efficiency, same installation, same operation as the Dynamic brand CT500 console air cleaner replacement media air filter pads. Try them today and get 90 days to let us know how you feel. You can return them for a full refund if you are not happy with them. We will even refund your shipping charges. 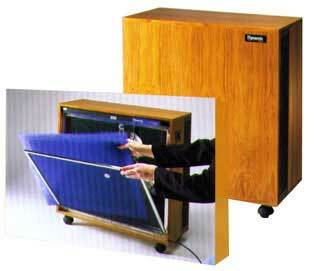 Many of our customers have switched to Electro Breeze and are enjoying the same performance for much less cost! The picture and reports below are for your comparison. We sell both brands and thought you would like to see a side-by-side comparison. If you have other Dynamic products in your home, find your replacement media air filter pads here.